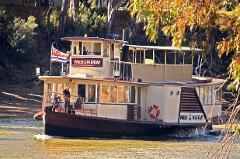 Take a one hour morning or afternoon cruise aboard Echuca's unofficial mascot, PS Emmylou. 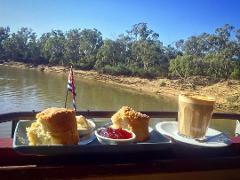 Buy any drink and enjoy a complimentary scone, jam & cream freshly baked by our Chef as you cruise the Murray River. 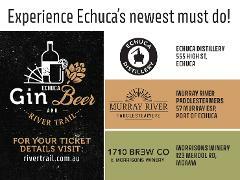 Cruise Echuca's most iconic Paddlesteamer for an authentic river cruise experience. Take in the magnificent views that surround you on this 2 hours cruise, visit the engineer and listen to the Skipper's historical commentary. 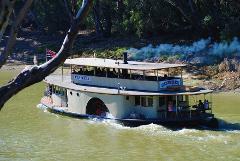 Join us on the 106 year old Paddlesteamer Canberra for a 1 Hour river cruise with Skippers historical commentary. Perfect for the the family with all kids able to steer the boat and receive a Skipper's Certificate. Bar & Kiosk available. Join us on the 106 year old Paddlesteamer Canberra for a special 45 minute river cruise with Skippers historical commentary. 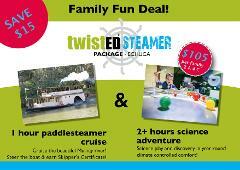 Perfect for the the family with all kids able to steer the boat and receive a Skipper's Certificate. Cruise aboard Paddlewheeler, Pride of the Murray. Our special 1 hour saver cruise saves $8 per couple and you can enjoy a complimentary Devonshire Tea as you cruise the Murray River whilst enjoying a historical commentary. 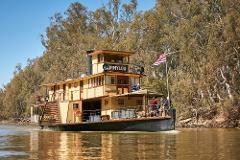 Enjoy a river cruise along the Murray River for a relaxing two hours in air-conditioned comfort. Take in the magnificent views that surround you as you cruise in old world style with the skipper providing historical commentary.